Leadership Group | Willard Agri-Service of Frederick, Inc.
Dewalt J. Willard, Jr. is one of three children born and raised in Poolesville, Maryland. He was a self-employed farmer starting at the age of 16. After graduating high school, he went to the University of Maryland for two years to study agriculture. He became a John Deere dealer at the age of 20 and in 1970, became the Founder and Chief Executive Officer of Willard Agri-Service. 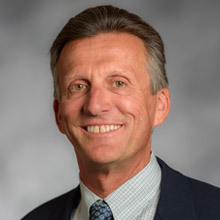 De is the President of several automotive businesses including Ideal Buick-GMC Hyundai of Frederick, Maryland and Shenandoah Motors and Shenandoah Ford of Front Royal, Virginia. De is also the Vice President of Graham Motors of Carlisle, Pennsylvania. 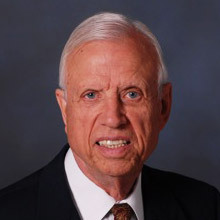 A few of his past activities and affiliations include: Member and past President of Frederick County (Maryland) Auto Dealers Association, Member and past President of Monocacy Lions Club, Member and past President of NFSA-ARA in St. Louis, Missouri, and Member and Director for the Frederick County Chamber of Commerce. He currently serves of the Board of Directors of the Willard Companies and for many companies and foundations around the country including, BB&T Bank Advisory Board in Frederick, Maryland, Abell Corporation in Monroe, Louisiana, Brandt Consolidated in Springfield, Illinois, Fluid Fertilizer Foundation in Manhattan, Kansas, the Maryland-Virginia Milk Producers Cooperative Association, Inc., the Maryland 4H Foundation, Inc., The Fertilizer Institute in Washington DC, and Dutch’s Daughter Restaurant in Frederick, Maryland. De has had many accomplishments throughout his career. He has received many awards from the National Fertilizer Solutions Association that include, Gold Leaf Award, the association’s highest honor, as well as the Man of the Year Award. In 2002, he was awarded the Mid-Atlantic Master Farmer award by the Maryland Farmer Magazine and University of Maryland Cooperative Extension. The University of Maryland Cooperative Extension service also awarded Dewalt the Service to Agriculture Award. He has received the Executive Industry Review Group Award by the National Fertilizer Development Center of the Tennessee Valley Authority and the Business Person of the Year by the Chamber of Commerce of Frederick County in Maryland. William F. Willard, Sr. (known as Billy throughout the company) is CEO for Willard Agri-Service. Billy is a son of company founder, De Willard, and he has extensive experience in farming and agricultural business. Billy graduated from Purdue University with a B.S. in Ag Economics. He did additional postgraduate work at Purdue. Billy then joined the family business at Willard and also began operating the family farm located in Poolesville, MD. Today, Billy continues to operate the family farm with his son, Billy Jr. This gives Billy the unique perspective of being both a farmer customer and a supplier. At Willard Agri-Service, Billy oversees operations for the five plants servicing seven states. 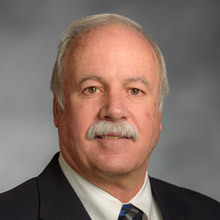 Billy is active in the community, serving on the Montgomery County Agricultural Center board, the University of Delaware Ag Advisory board, the St. John’s College High School board, and the board of the Damascus Community Bank. Billy has also served on the Small Business Advisory committee for the Richmond Federal Reserve Board. John Olson is Chief Financial Officer for Willard Agri-Service. He joined the Willard team in December 1991. John graduated with a BS in Economics from Western Maryland College (now McDaniel College), where he also played varsity basketball. He earned his MBA from Northwestern University’s Kellogg Graduate School of Management with a concentration in finance and accounting. John held a variety of corporate financial management positions prior to joining Willard. At Hallmark Cards based in Kansas City, MO, he was General Accounting Manager and then promoted to Manager of Financial Analysis. 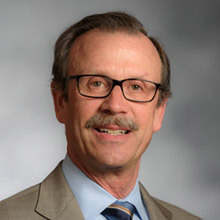 John then moved to Marriott Corporation headquarters in Bethesda, MD where he worked on the acquisition of Residence Inn and was Director of Operations Analysis. John is an avid Civil War buff. 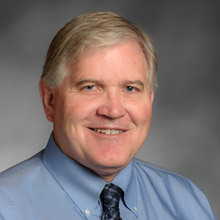 He is a founding board member and past president of the National Museum of Civil War Medicine. He is the author of The 21st Virginia Cavalry and a contributor to the Encyclopedia of the Confederacy. Ken Fry was born into a fifth generation farming family in Montgomery County, Maryland who later moved their dairy farming operation to Maryland’s Eastern Shore. Upon graduation from the University of Maryland with a degree in Agronomy, he returned to the family farm with a focus on crop production. Through experiences of his wife Bronwyn, who had grown up overseas, he was introduced to global travel and developed an interested in the different agricultural challenges and techniques everywhere he traveled. Together, they decided to enrich their children’s lives by moving to Asia for most of the period from ’88 to ’99. Ken started his international career in aquaculture and finished with construction of multiple feed mills for Cargill, Inc., including hiring and training local staff and getting the businesses up and running. Throughout this period, he lived in Thailand, Malaysia, Sri Lanka and the Philippines, traveling home for two to three weeks each summer. Observing how people in developing countries can improvise and tackle most situations with few and often no resources made a deeply engrained impression on Ken. His overseas experience, under frequent adverse conditions, taught him that seemingly impossible obstacles can be overcome through using your head, a few tools, and plenty of hard work. Ken returned to the USA when his children were transitioning from high school to college, landing in western Pennsylvania and once again, designing and building a livestock premix plant for Renaissance Nutrition. One of his goals was to get back to the Eastern Shore of Maryland, and was soon fortunate enough to find an opportunity with Willard Agri-Service. Ken worked on the design and construction of their newest plant located in Greenwood, DE. Since 2003, Ken has held multiple positions at Willard Agri-Service, most recently as Chief Operating Officer. Bob has worked in business and agriculture for the past 38 years after growing up in a family that farmed and had Ag businesses. He spends most of his time in the crop supply business and has five facilities that serve six states. Currently he is Chairman of the Board. The main business is serving farmers with products and information that help the farmer make more profit per acre, reduce risks, and solve production problems. Willard is a family owned and operated company. The Willard family also is a partner in a Turf and Ornamental company in Pennsylvania that sells products throughout the North East. Bob graduated from Iowa State University with a degree in Ag Business, then did graduate work at Purdue University. Bob is a past Board member of: Agricultural Retailers Association (past Chairman) and Independent Agricultural Professionals. He is the past President of the Delaware-Maryland Agri-Business Association (current treasurer). Bob is also a board member of Chesapeake Bank and Trust and Centennial Ag Supply. Bob is a past member of the Chestertown Lions Club. He and his wife Lynda live in Chestertown Maryland on the Chester River, a tributary of the Chesapeake Bay. They have 3 children: a son Joe with wife Shaunescy, granddaughter Ella (14) and grandson Bligh (12). A daughter Julie and her husband Peter and grandsons Bram (3) and Ewan (1month). They live in Bozeman, Montana. A stepson Michael lives in East Brunswick, New Jersey. 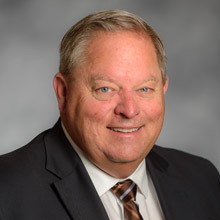 Steve Watts is Chairman/CEO (elect) of Aligned Ag Distributors, a joint venture crop protection company owned by six western retail/distributors and United Suppliers, Inc. The new company, headquartered in Ames, IA, will be operational on or before October 1, 2015. Steve is also a partner in Farrell Growth Group, an agribusiness consultancy group located in Kansas City, MO. Prior to joining Farrell Steve was the VP/General Manager of The McGregor Company, one of the largest privately held crop input retailers in the U.S., operating from 43 locations in Washington, Oregon, and Idaho. Steve was with McGregor Company for nearly 40 years, beginning his career at the age of fifteen as a janitor. After graduating from high school and returning from active duty in the Air National Guard he obtained a degree in Agricultural Business and returned to the company, serving in variety of different roles on his way to becoming the first non-family officer in the 130+ year history of the firm. Steve is one of the co-founders and past chairmen of the International Certified Crop Adviser program. 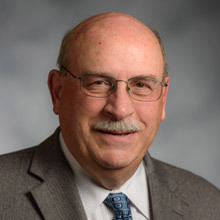 In 1996, in recognition of his leadership with the CCA program, he was appointed by Secretary of Agriculture, Dan Glickman, to serve on the National Agricultural Research, Extension, Education, and Economics Advisory Board (NAREEE). In 1998, Steve was inducted into the Crop Professionals Hall of Fame. In 2011 he was awarded the Sherman McGregor Outstanding Service Award by the Far West Agribusiness Association for his long tenured service to the industry. Steve also serves on the Board of Directors of Willard Agri-Service headquartered in Frederick, MD. He and his wife Dawn have raised three children and make their home in Pullman, Washington. Bernie Grove is the Retired President of Redland Genstar, Maryland’s largest producer of stone, asphalt, and ready mixed concrete. Since his retirement, Bernie has operated his own management consulting business. Bernie joined the M.J. Grove Lime Company (a predecessor to Redland Genstar) starting as a Sales Representative, moving up to Operations Manager, Executive Vice President, and finally as President. Bernie graduated from the University of Maryland at College Park with a split degree in Soils and Agricultural Engineering. Bernie served as Superintendent of the Tobacco Research Station at Upper Marlboro, MD upon graduation from college, prior to joining the M.J. Grove Lime Co.
Bernie was very active in both National and Maryland and Virginia Industry Associations. He was a Past Chairman and Honorary Life Member of the National Stone Association. Bernie was Chairman and Life Member of the Maryland Aggregate Association. He is a member of the Pit and Quarry Hall of Fame and a member of the Maryland Highway Contractors Hall of Fame. Bernie served as a member of the Board of Directors of FCNB Bank and as an Advisory Board Member of BB&T Bank. He was active in the Frederick Maryland Chamber of Commerce, serving as Chairman, and was also Chairman of the Frederick County Economic Development Committee. He is currently a member of the Rotary Club of St. Michaels, MD and is Past President. Bernie and his first wife, Mary, had six children, who in turn have 15 grandchildren. His first wife, Mary, died in 1997. Bernie is presently married to the former Carol Wrightson Armstrong, and they reside in St. Michaels, MD. Bernie’s family has been actively engaged in farming in Maryland for over 350 years. He is no longer actively farming, but he owns a grain farm in Talbot County. Bernie has been very active in education in Maryland. He is a lifetime Board Member of St. John’s Catholic Prep in Frederick. He is also active in his church, Saints Peter and Paul Parish in Easton, where he serves on the Parish Executive Building Committee. Bernie is a member of the Maryland Farm Bureau and the Tidewater Farm Club, where he serves on the Board. 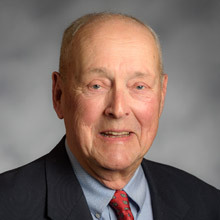 He serves on the Board of Willard Agri-Service in Frederick, MD and the Synatek Corporation of Souderton, PA.
H. Carter Myers III, grandson of the founder, joined Petersburg Motor Company, Inc. dba Carter Myers Automotive after graduating from the University of Virginia McIntire School of Commerce in 1965. In 1981 he received his MBA from Virginia Commonwealth University. He was elected President in 1974, CEO in 1976 and Executive Chairman in 2012. Carter Myers Automotive is a holding and management company operating eleven automobile dealerships and a real estate company. The company represents thirteen automobile franchise brands in three Central Virginia locations: Richmond, Charlottesville and Staunton. 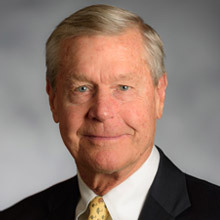 Carter Myers has been very active in the automotive industry, serving as Virginia Automotive Dealers Association (VADA) Chairman in 1995 and as Chairman of the National Automobile Dealers Association (NADA) in 2002. He is currently Honorary Director of both Associations. He currently serves as Chairman of Glendale Insurance Company, LTD of Bermuda. He is currently a member of the Virginia Chamber of Commerce Board of Directors A few of his past activities and affiliations include: Member, Commonwealth Transportation Board; Director of Charlottesville, Richmond and Petersburg; Member, Petersburg Planning Commission; Director, Richmond, Petersburg and Charlottesville United Way Boards; Director, Richmond, Chester and Petersburg YMCA Boards. He and his wife, Ann, have two daughters, Liza Myers Borches and Sarah Broocks Myers. Liza is currently President and CEO of the company. David Hintzsche was part of the team who grew a family-owned agri-business into a company. For 42 years, he had a successful career with many titles at Hintzsche Fertilizer, Inc., in Illinois. The business grew with over 150 million in sales, 225 employees at 15 ag retail locations, and many contract pork production sites in northern Illinois and eastern Iowa. David started working at Hintzsche Fertilizer, Inc. as a Second-shift Feed Mill Operator while attending Waubonsee Community College. After two years of college, he became a custom operator, then Troxel Plant Manager. In 1979, David became the Agronomy Division Manager for 11 years, moving his way up in the organization to the General Manager. In 1995, he became the President and Chief Executive Officer. He led the family owned business for 19 years before it was sold in 2014. 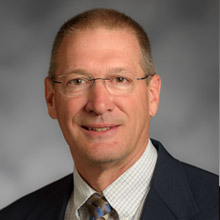 David was on several board affiliations including: Hintzsche Companies from 1990 to 2014, Premier Crop Systems from 2000 to 2007 and joined the board again in 2014. He was also on the board at DeKalb County Economic Development Corporation from 2005 to 2013, and United Suppliers and Agricultural Retailers Associations from 2011 to 2014. He was a Vistage (CEO peer group) member from 2002 to 2014 and recently joined the Willard Agri-Service Board of Directors at the beginning 2015.